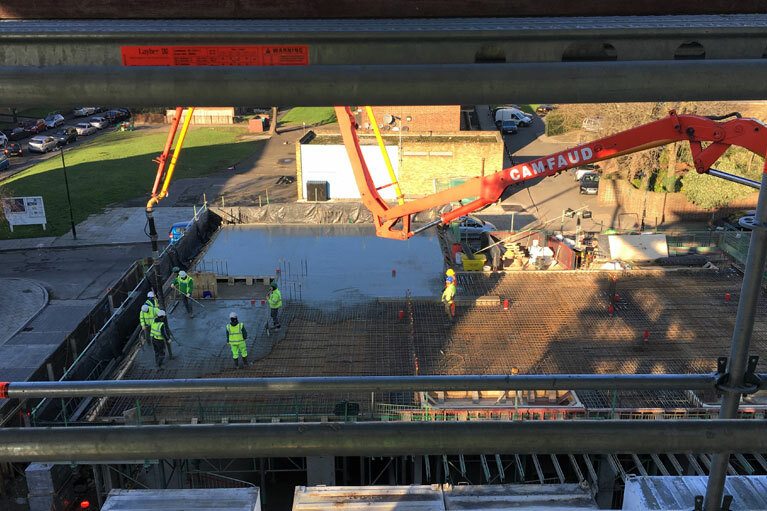 As part of Southwark Council’s regeneration strategy Lovell awarded Kaybridge the groundworks and frame package to provide 67 residential units. Our scope consisted of reduce levels, ground beams, foul and surface water drainage to a depth of 2.5m, aquacell water storage tanks, roads and footpaths to adoptable standards, permeable resin bond gravel, demolition of an 8m high sub-station within 2m of the public together with 2 reinforced concrete frames up to 5 storeys. Additional works were carried out to create a recreational space for local residents including concrete plinths, planters, climbing posts and seating.